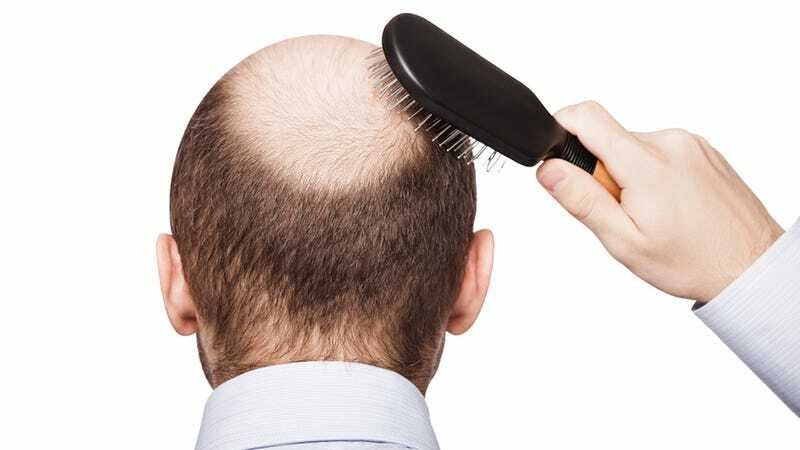 Traditionally, baldness cures involve moving hair around, either from one part of the scalp to another, or from the toupee store to your dome. This week, scientists announced a potentially revolutionary discovery in hair science: they've successfully turned mature skin cells into stem cells that develop into hair follicles. It's hair-raising! The discovery, published this week in Nature Communications, marks the first time scientists have transformed adult cells into the specific type of stem cell that develops into hair follicles. Starting with dermal fibroblasts, a type of human skin cell, the researchers added genes that turned the cells into pluripotent stem cells, capable of differentiating into any cell type in the body (a technique which first became possible in 2004). Further genetic manipulation turned these into epithelial stem cells, the specific type found in developed hair follicles. When the scientists transplanted these epithelial stem cells in mice, the cells grew into hair-follicle-equipped human skin, growing recognizably human hair shafts. However, while the hairy results are encouraging, you won't be seeing this technique in late-night infomercials any time soon. Human hair loss affects two different types of cells—epithelial cells and dermal papillae cells—the latter of which scientists haven't been able to regenerate.